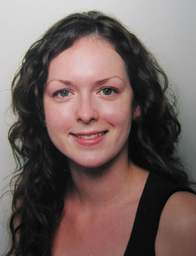 Dr Marjorie Gehrhardt, lecturer in 20th century French history, tells us about a recent event she organised on experiences and representations of facial differences. From The Phantom of the Opera to James Bond villains and The Undateables, visible facial differences are still overwhelmingly presented as signs of moral or intellectual flaws. On 20 November 2018 we held an event to challenge these negative associations and raise awareness of the still powerful unconscious bias against people with visible facial differences in twenty-first century societies. I hosted an evening lecture, by guest speaker James Partridge OBE, founder of the charities Changing Faces and Face Equality International. Funded by the Deans of Diversity and Inclusion, this event gave the audience an insight into the challenges experienced by James personally, and were inspired to stop taking facial differences at ‘face value’. James shared his personal journey of physical and psychological recovery following a car accident at age 18, in which he had been severely burnt. In his own words, James ‘used to trade on his looks’, but his appearance changed dramatically as a result of his injuries. His talk emphasised the importance of surgeons and nurses, not just form a medical point of view, but also in helping him come to terms with the life-changing implications of his accident. How much to tell patients about their condition and when, how to facilitate the injured person’s first encounter with their reflection in a mirror, when to stop surgical reconstruction: these are all questions medical staff have to consider. Surgery, James pointed out, has made tremendous progress since the time of the First and Second World Wars; however it is not always possible to restore looks to their pre-accident appearance. This is all the more difficult because of the prevailing visual diet that tells us that our happiness and success depend on us having perfect facial looks. Despite the recent success of more positive narratives, such as R.J. Palacio’s Wonder (2012), visible facial differences are still overwhelmingly associated with negative attributes and prospects. 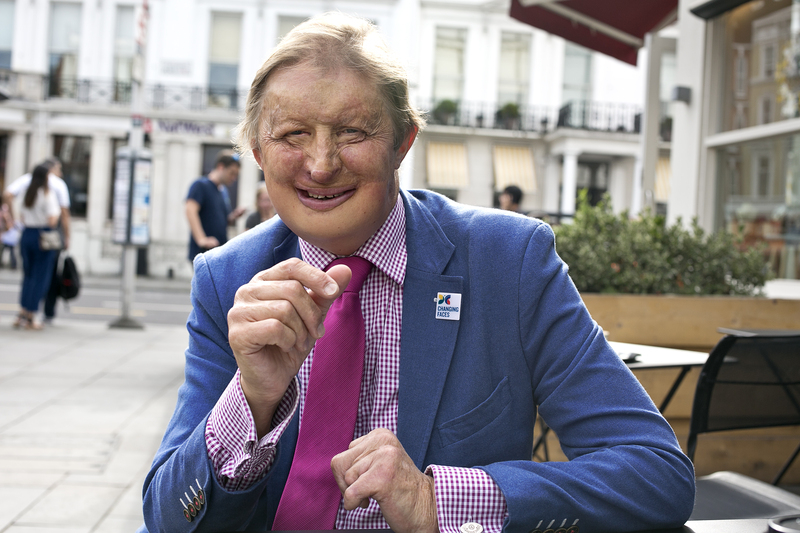 Encouraged by his surgeon, James wrote a book, Changing Faces: The Challenge of Facial Disfigurement. In it, he seeks to give practical advice to enable other people going through a similar experience to live confident lives. The success of this book, and the work of Professor Nichola Rumsey (UWE) inspired James to set up the charity Changing Faces in 1992, with the mission of providing psycho-social help to people with visible facial differences in the UK. His aims, James told us, were twofold: on the one hand, to empower people with visible facial differences, and on the other hand to challenge unconscious prejudice within our societies. Several awareness-raising campaigns followed, including the Face Equality Campaign. One of the key challenges is to help society uncover this unconscious bias. In order to do this, Implicit Attitudes tests have been used and the latest one, run in 2017, revealed that although the majority of participants said that they did not discriminate against people based on their facial appearance, 67% of them in fact held negative attitudes towards people who have disfigurements (against 90% in the 2008 IAT). ‘Evil’: people with visible facial differences are sometimes thought to be morally flawed, an idea reinforced by stories and films associating facial differences with evil. This stigma was challenged in the short film Leo, starring Downton Abbey’s Michelle Dockery. ‘Fix it’: a third widespread myth sees facial differences as being entirely ‘fixable’, through the means of plastic surgery especially. People with visible facial differences are consequently perceived as unwilling to change and deliberately choosing not to ‘fit in’. Although progress has been made over the last few decades, James invited us to challenge this unconscious bias when we see it reflected in the words we use or hear used, as well as in the media and in films. The latest campaign by Changing Faces specifically addresses negative representations of people with visible differences in films: #Iamnotyourvillain reveals how pervasive and damaging such representations of facial differences are still today. James has now stepped down from his role as CEO of Changing Faces, and in the Autumn of 2018 he launched Face Equality International, an international alliance of NGOs committed to supporting people with facial differences, and to challenging appearance-based discrimination.